Help Kitten’s Korner celebrate 20 wonderful years in business! The Greater Greenbrier Chamber of Commerce is pleased to celebrate the 20th Anniversary of Kitten’s Korner Gift and Custom Frame Shoppe with a Business After Hours on October 18. 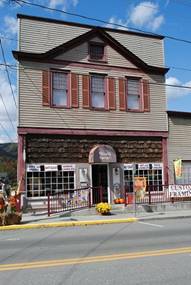 Kitten’s Korner is located at 80 West Main Street in White Sulphur Springs and is owned by Ruth Burr Miller. The gift shoppe business opened its doors in 1992 with the trio of Burr women at the helm- Ruth Burr Miller, Anita Burr Butts and Kitten Burr. It later transitioned to include custom framing, along with its quality merchandise including Yankee Candle, Tervis Tumbler, Homestead Lighting, Fiestaware and P.Buckley Moss prints. “What a joy and blessing it has been to enjoy..and love your job! The creative expression, interaction with people, independence, involvement with family, as well as being able to provide great products and services are some the wonderful parts of twenty years as Kitten’s Korner. We pray that it is God’s will to sustain us to enjoy another twenty! We want to express our gratitude to our many faithful customers”, asserted Ruth Miller. Many local and regional artists’ work is also represented at Kitten’s. The lower level of the shoppe will be open with items remaining from Leisa Campbell’s Interior Design business. The celebration will include champagne, cake and appetizers. Business After Hours is a monthly event of the Greater Greenbrier Chamber of Commerce which showcases a member business and provides a great opportunity for networking. To register for the event, please go to the Chamber website at www.greenbrierwvchamber.org and click on the event or call the Chamber at 304-645-2818.